From Fishing in Mammoth Lakes, to camping the Eastern Sierra, there are so many things to do for vacationers and visitors who love the great outdoors. 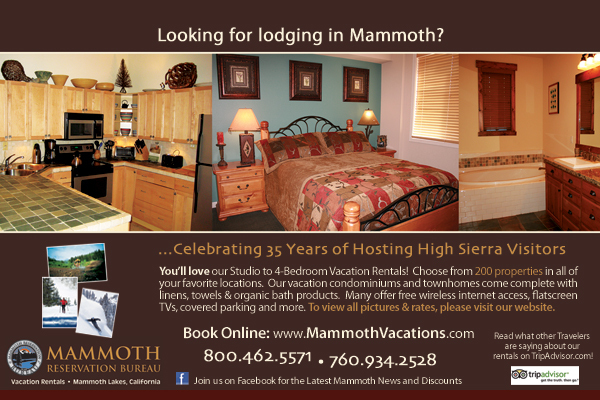 Mammoth Mountain has the mountain bike park, Sierra Star and Snowcreek have 27 holes of Golf and the town maintains several US Tennis Association (USTA) approved courts. We also have miles of hiking, biking trails. Many sports and recreational activities listed are good all year round like going to Hot Creek for a soak, but it is always a good idea to check with a local official or Ranger to make sure the attraction is open. You can pick up trail maps in our maps section, or when you visit town at the Visitor Center.